Ancestors Gold Challenge_Instructions - I'm Gonna Stand Up! EARNS ﻿YOU ﻿THE GOLD ANCESTORS BADGE. Put yourself in the chain of Jewish tradition! 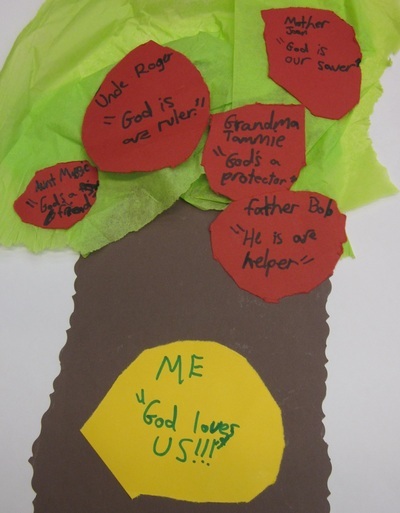 The אָבוֹת וְאִמָהוֹת tells us that each of our early Torah ancestors had their own relationship with God, their own connection to God. When we pray this blessing, it's helpful to think of our own relationship with God, which is what this challenge is about! Put yourself in the chain of Jewish tradition - let us know who is the God of YOU!! Check off each of these tasks that you completed. All 4 need to have been done to earn your GOLD badge. If you are not sure, you might wish to watch the short video about the Avot V'Imahot (Avot) blessing that is on the main Ancestors challenge page. You may give a parent or teacher's email, if you wish. אֱלֹהֵי (the God of) YOU! "who is the God of YOU!" When done with this challenge send YOUR photo to ImGonnaStandUp@jecc.org. Some of your shared artwork!! With your parent's permission, if you send us your 18-People artwork, we'll post it!